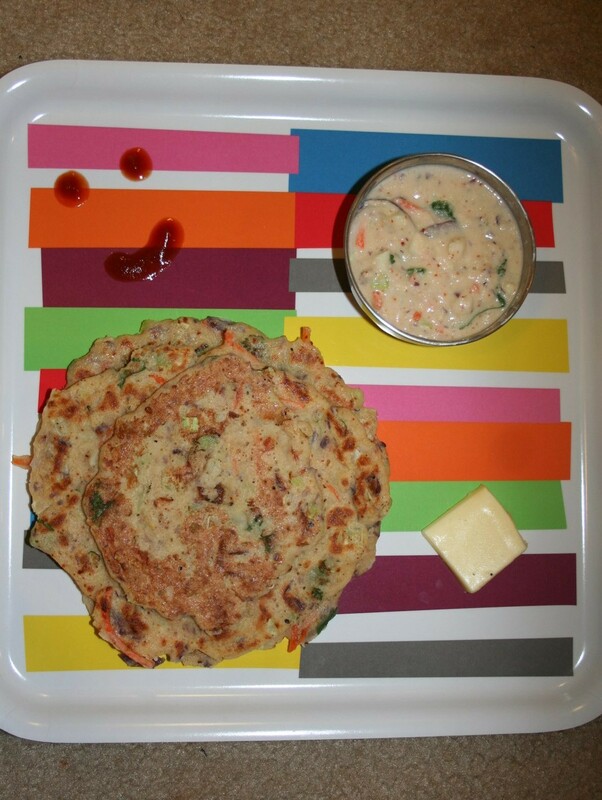 Adai is a popular south indian snack. The base is made of dals and rice which are then blended together. It is very similar to dosa base, just that its not fermented. So, you don’t have to wait a couple of days for the batter to become ready. I added loads of veggies which makes this dish a complete meal in itself. It is rich in Iron, protein, vitamins depending on which vegies you use. Rice gives you the carbs needed for the day. Its also an awesome way to clean up your fridge of leftover veggies. So, next time, don’t throw away that leftover half-capsicum, cook adai! Traditionally, an odd number of holes are made in adai and oil is poured in these holes. Since, the batter is not fermented, its cooked on low flame covered with a lid so that rice and lentils cook perfectly in the steam. Wash rice and dals 3-4 times and soak in enough water for 2 hours separately. After 2 hours, drain all the water from rice and dals, throw in blender, add hing, salt, dried red chillies, curry leaves and blend. Add chopped onions, cabbage, coriander leaves and chopped green chilies. 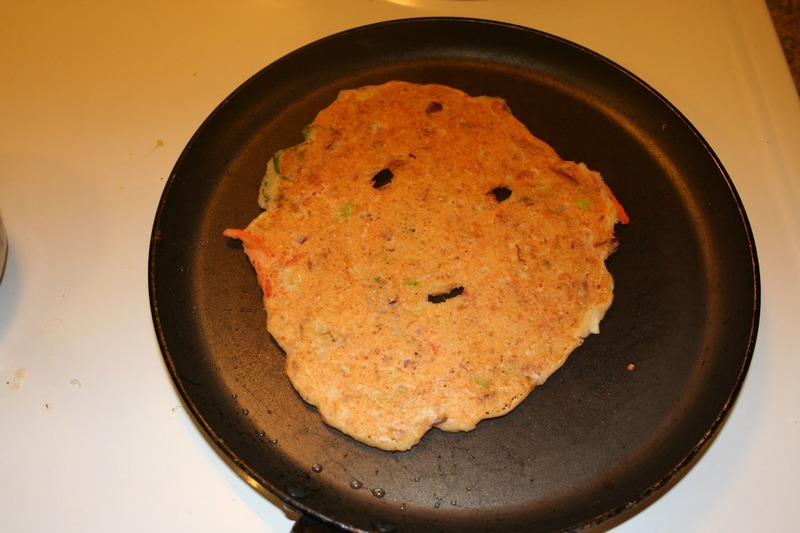 Remove the lid and flip your adai. Cook for another 3-4 minutes until it gets a nice golden color. Serve hot with coconut chutney, butter or tomato sauce. Enjoy!! How to copy post from other blogs to your blog and make it pass copyscape test and human readable ?